Why don’t you have a video-showing event of “NUCLEAR JAPAN” in your country? Almost in one year, this film has been shown to more than 70,000 people, and there have been held more than a thousand voluntary movie-showing events since “NUCLEAR JAPAN” was released in November 2014. It has been also presented at many courtrooms as evidence to get a bird’s-eye view of all the issues of nuclear power in order to halt nuclear power plants whole Japan. If you are planning to have a video-showing event of “Nuclear Japan” (2h 15m), please send an application form to eiga@nihontogenpatsu.com. It may take time for international shipping, please apply well in advance. Thank you! a complete picture of nuclear power in Japan. NUCLEAR JAPAN is a documentary film directed by a 70-year-old lawyer with remarkable record of winning very high-profile cases who elucidates the controversial issue of nuclear power industry in Japan. On March 11th, 2011, a massive earthquake hit East Japan, which caused a catastrophic accident in Tokyo Electric Fukushima No.1 nuclear power plant. Radioactive materials were released from its four nuclear reactors, and they have contaminated the people’s land as well as ocean. Today, the effort to clean up the radioactive materials is still ongoing, only too little effect. A month after the earthquake, the search for missing persons resumed. During the search, more than 180 bodies were found along the shore of Namie Township. If it weren’t for the nuclear accident, most of those lives could have been saved. There was one lawyer who had been actively voicing the absurdity and danger of Japanese nuclear power – Hiroyuki Kawai. Kawai has been fighting in many legal battles to halt nuclear power plants in Japan for over 20 years. Ever since the crisis at Fukushima No.1 power plant, his fight has been fueled by even more drive and dedication. Then, Kawai had a thought. What if he makes a movie about this issue? If he wants the public to understand the complicated issues of nuclear power, literature has its limits. Also, all the coverage by Japanese media has been biased. Only by providing the visual and giving the objective view, he can communicate the true absurdity and inhumanity of the nuclear power in Japan. With the help of another lawyer Yuichi Kaido, Kawai’s old ally who also has been fighting in nuclear power plant lawsuits, Kawai completed this documentary film, NUCLEAR JAPAN. The film not only features the interviews of many experts, a number of facts and evidences, but it also brings to light the immense pain of the people have been suffering from the nuclear crisis. NUCLEAR JAPAN is now being presented as evidence in many lawsuits to halt nuclear power plants all over Japan. This film is the ultimate nuclear power documentary that takes you on a journey to grasp all the issues of nuclear power in a factual, objective way, and eventually, a journey to find a hope. Hiroyuki Kawai, a lawyer and a filmmaker, was born in Northeast China, Manchuria, in 1944. Kawai graduated from the University of Tokyo, Faculty of Law in 1968, and has been practicing law since 1970. In 2014, he made a directorial debut with a documentary film NUCLEAR JAPAN. Today he holds various titles including; President of Sakura Kyoudo Law Offices, Chairman of The Support Group for Japanese War Orphans Left in China Obtaining Japanese Nationality, Head Director of Philippine Nikkei-jin Legal Support Center, and Representative Auditor of Institute of Sustainable Energy Policies. Kawai is also a representative of National Federation of Lawyers Against Nuclear Power as well as The Complainants for Fukushima Nuclear Disaster Criminal Prosecution legal team. He is the lead lawyer of the legal team for Hamaoka Nuclear Power Plant Suspension Lawsuit and Tokyo Electric Executives Criminal Responsibility Lawsuit. He is also a part of Ohi, Takahama, Sendai Nuclear Power Plants Provisional Suspension Lawsuit legal team. If you give 100%, you can achieve almost anything. If you give 100%, you will find anything enjoyable. If you give 100%, somebody will offer you their hand. Kawai became involved with lawsuits against nuclear power plants from 1994. The first suit concerned use of MOX fuel in the Fukushima No.1 Reactor 3 plant that exploded in March 2011. This suit failed, as have many more since that time. Ever a shrewd lawyer, Kawai was losing his passion to continue such lawsuits just before the Fukushima accident. The Great East Japan Earthquake rekindled this passion and Kawai has said “I will never give it up. I will continue lawsuits against nuclear plants until nuclear power is eradicated from Japan”. As part of this process, Kawai decided to make a movie. Explaining this, he said “in a democracy, a fair legal process is obviously important to protect our rights, especially for minority issues. Lawsuits in a democracy functions as safety valves. Justice is justice. I shall stand up to protect life and Japan in courts, even if I would be alone. But to share the idea of nuclear zero nationwide, we need a movie”. 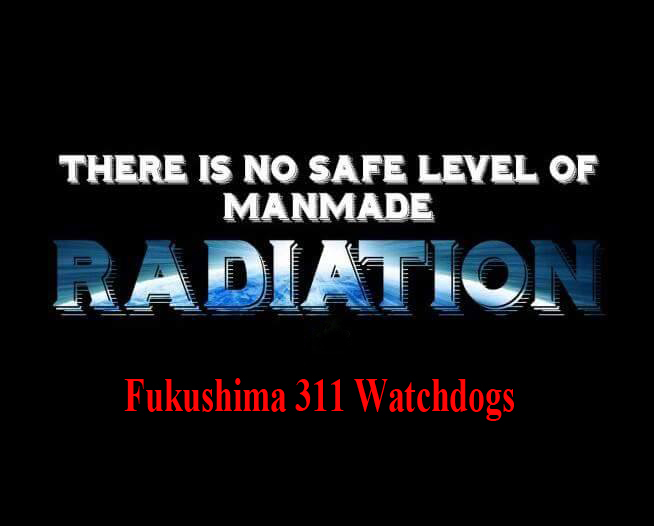 Nuclear accidents strike at the very foundation of our lives. frugal and fancy living alike – everything is turned on its head. We have come to realize this. What matters now is what we will do about it.